When people read my blog and see I travel out frequently, they thought I am either lucky or independently wealthy. Well, I am not wealthy and... luck? haihhhh....Everything comes to me in a hard way. Many sacrifices along the way to realize my dreams to travel abroad independently. I narrow down my travel list to South East Asia since this is the least expensive countries to visit. The list expanded along the way as time flies. One of my biggest habit is to spend thriftily and save vigorously. I live modest lives, free from branded clothing, shoes and make up. Eating out only during weekend. Remember those days I use to cook the night before and bring my breakfast and lunch to office from home. That was those days when I am not really expose on the internet this much and learn how to earn online here and there. Don't make much online but enough to top up my travel funds. 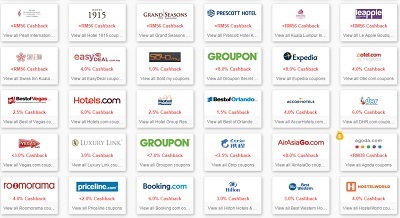 Recently, I found ways to save more travel fund with this website call ShopBack. You will be amaze how much ShopBack can grow your travel funds faster than you thought it could be. Here I share with you 6 ways to Earn Cashback with ShopBack. This is not even a scam like ponzi or whatsoever. This is super legit way to earn cash online even if you are not a blogger. People say sharing is caring. Just refer a friend to join under your referral link to share the great benefits! You will earn RM5 for every sign up and when your friend start to purchase some thing through the link. If you interest to earn cash online while surfing and shopping around, sign up through my link here. Love you! Muakkksss!!! How many of you never do online shopping? Put your hands up!!!! You put up your hand? Seriously??? Well...its never too late to do online shopping. Why don't you start with ShopBack? You can earn back some cash while shopping! Well, most of us shop for some necessities. Why don't shop online and earn back some cash you spend! Shopback has many famous and well known on board. You don't have to look further to shop. Most of us know we can earn certain points when you do flight booking. Well...with ShopBack you don't just earn points but also cash. Yes!!! say what??? Earn cash back from flight booking too? Not just one airlines. So many well known airlines on join ShopBack too. Many of you goes to Agoda.com or Booking.com for best deal hotels. 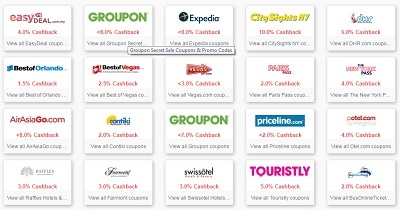 Well you can get best travel deals plus earn your cash back for every hotel book through ShopBack. Did I mentioned that you don't lose your points which are redeemable later too? Gosshhhhh!!! Again ,I wish my Boss is a frequent traveler to earn more. Greedy me! Not only you can save more cash but you also earn more cash back if you book both flight ticket + hotel at one go from the website like AirAsia Go. Whoa!!! This is like killing 2 birds with one stone.You can also find the latest Expedia coupons here for great deals for your next travel. I did online shopping a lot. This make me happy. I wish I knew this website from long time ago so all my spending can be earn back. Haihhhh...bet I earn a lot by now. Anyway, never too late for anything though! Heal your mind and start online shopping. Some money that you earn from this cash back, make it a habit to top it up to your travel funds.So? Now you know how save money for your next travel? Nothing comes easy. This is the best way to live and do your daily life and earn at the same time. We shop every month though with or without you realize it. Well , still don't get what I mean by shop and earn at the same time? You can visit their tutorial video here and learn how to earn online. heard of this website too, but never know its functionality until reading your entry. Oh wow. Thanks for sharing.let's make this paper! Interesting, gonna see how Alibaba is going to dominate the online market with them buying over quite a number of the well known sites via share deals. didnt knw at this, thanks sharing its so useful ! 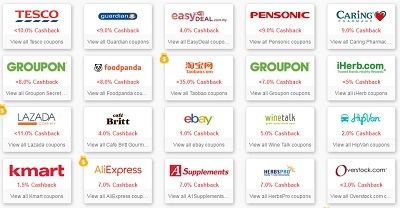 Shopback is definitely my first choice to go when come to cashback for all e-commerce website. I saw so many blogger recommend of this!! I tried!! Really save a lot!! yes shop back is the way to go! get cash back when you shop! thanks for recommending!! thanks for sharing this cool app. save money is so essential these days! That is a great way to save money. Who won't like to travel and still get some rewards back? I am using this website too. During this economic downtime it is an awesome website though. Thanks for sharing this new app as i have not used it till now. It seem a lot of people started using shopback as it really provide a lot of benefit especially the cash back part. im using this too! a really great way to save money. Yeay! A great way to save more so that I could spend more on my upcoming trips too! Shopback can really be such an angel. With the rebates or points, i could shop for me! Yes!! I swear by shop back too!! It is just like getting rebates for purchases in the shopping Malls!